I’m Katie B. Rocke, CPA (Certified Public Accountant) since 1983 and former IRS field agent for 14 years. 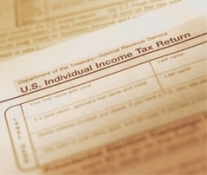 I am a CPA specializing in taxes and IRS representation in Arvada, Colorado. My rates are very reasonable! I can prepare your taxes (all years, all states) handle an audit, go to appeals for you, petition Small Tax Court, prepare an Installment Agreement or an Offer in Compromise. Katie is listed on the IRS website as licensed to practice before the IRS. Credentials: CPA, Master’s Level Work in Tax & Accounting. Experience: 30 years as a CPA; 14 of those as an IRS field agent. Strategic Analysis: What is the best course of action to take? You need to file a “Final 1040” which goes from Jan 1 to date of death. Then you need to file a Form 1041 Decedent’s Estate which goes from date of death to one year later. Almost everyone must file a 1041. Please do NOT apply for an EIN for the estate until you contact us. Almost all executors make the mistake of ending the 1041 tax year on 12/31 which can be a very costly mistake. Katie: Thank you so much for your continued hard work on my S-corporation tax returns. Your expert knowledge has proven to be worth its weight in gold for our business. I don’t know what wed ever do without you! Deadlines Happen! Don’t Wait! Call (303) 456-5191 Today To Set Up Your Appointment.